Parents, would you like a night out? 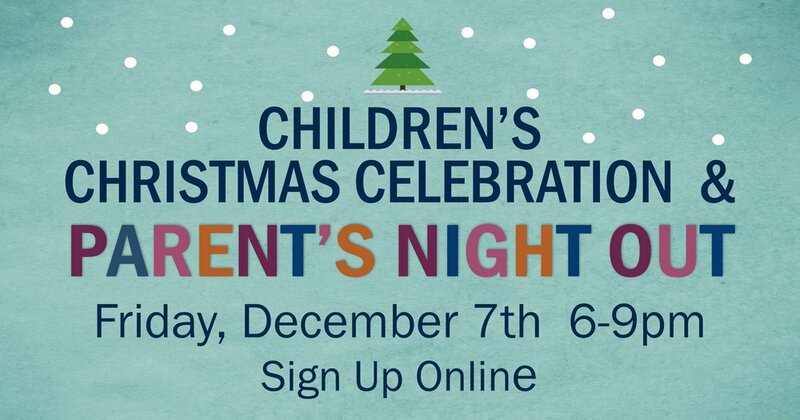 Children (birth through grade 5) are invited to our children’s Christmas celebration for pizza, games, crafts and Christmas activities while parents have a night out. Join us Friday, December 7th from 6:00 - 9:00pm. Due to space limitations, participation in this particular event is limited to our Calvary families and active Calvary visitors. Cost: $5 per child / $10 per family. Sign up by Wednesday 12/5. Contact Carrie Beth via email if you have questions or need more information.